In this episode, our hosts are joined by local Madison Warhammer new guy Eric the StoneMonk. In the main topic, the hosts explore getting motivated to work on hobby stuff. After all, this is the first step to actually getting models on the table and being played with! Several thoughts are discussed on how to change up what your doing to get that paint brush or hobby knife and glue going and get back to work on your models. 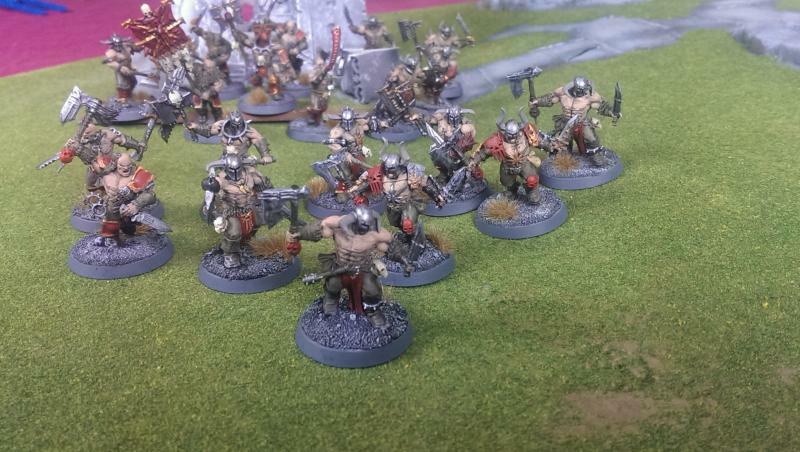 Also recapped is the WWHFB Tournament of Champions which was held at Pegasus games. This was a great, small and friendly tournament that has been done for the second time. Listen to see how the games went and who the winners were.